Welcome to our listing for this beautiful corner sofa. It will give an irresistible look to your living room, inspiring it with elegance and originality. All of our products are exquisite in design and are unquestionably modern. This sofa will bring a new and friendly atmosphere into your living room. All our products meet EU quality standards, and are tested for durability and reliability. 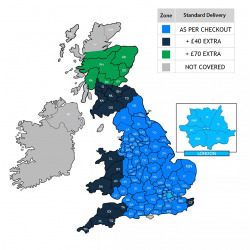 PLEASE NOTE - IT MAY TAKE UP TO 6 WEEKS FOR YOUR SOFA TO BE DELIVERED FROM THE DAY YOU PLACE YOUR ORDER WITH US. USUALLY ORDER TAKES 4 WEEKS. HIGH QUALITY CORNER SOFA FROM BMF ! CHOOSE YOUR COLOUR, FABRIC OR FAUX LEATHER TYPE, MATCH IT WITH YOUR INTERIOR. Wavy springs, adjustable armrests, pull-out bed function, medium-firm HR foam type, storage (bedding) container - 150cm x 68cm x 20cm. 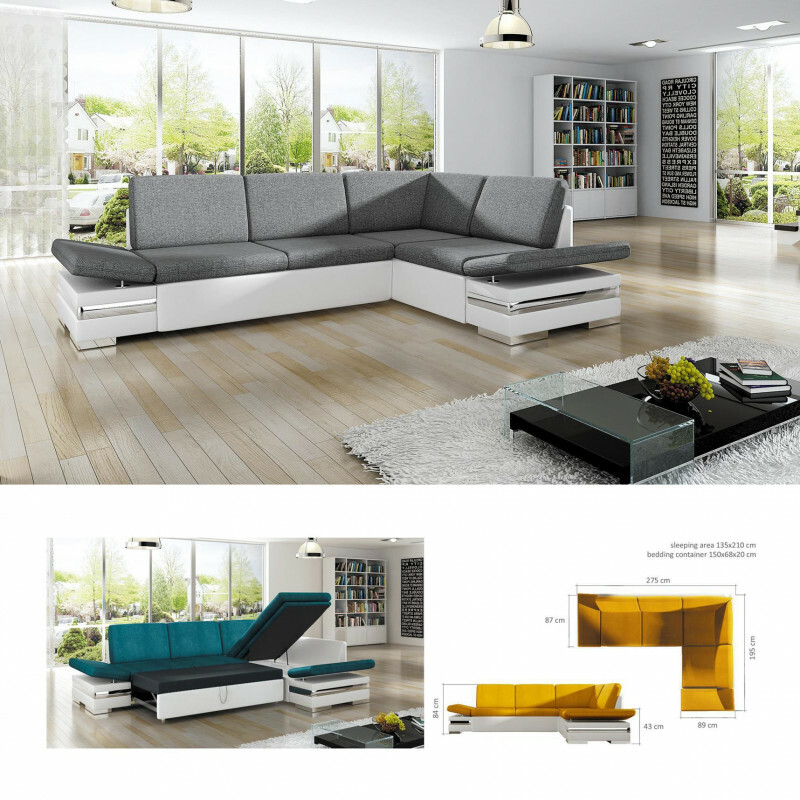 Sleeping area: 135cm x 210cmExcellent sofa, remarkable design, quality materials. For an additional charge - usually 15% - 30% more this model is also available in BONDED LEATHER - BOND GRADE LEATHER !! !